Simon Says Stamp and Show...One more go. 2012 is a great year to be English! The Queen is celebrating her Diamond Jubilee (marking 60 years on the Throne!) and London is hosting the 2012 Olympics! I see a lot of Union Jacks in my future! 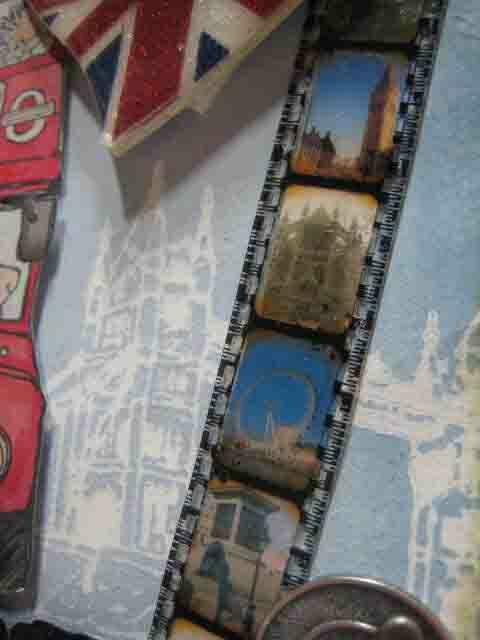 I love the new London 2012 stamps by Penny Black. I used two of them in this 5"x7" wall hanging. 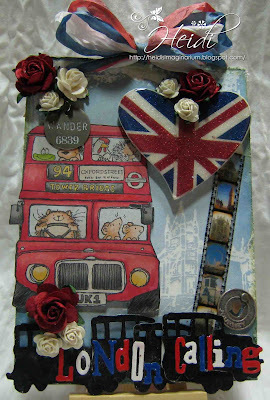 I got the idea for the Union Jack Heart from this post by Shelly Hickox. 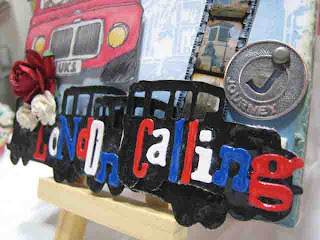 First, I placed an order for the London Underground stamp set from Artistic Outpost. But I wanted to get crafty immediately so I created my own Union Jack using Scor Tape and various colours of fine glitter. 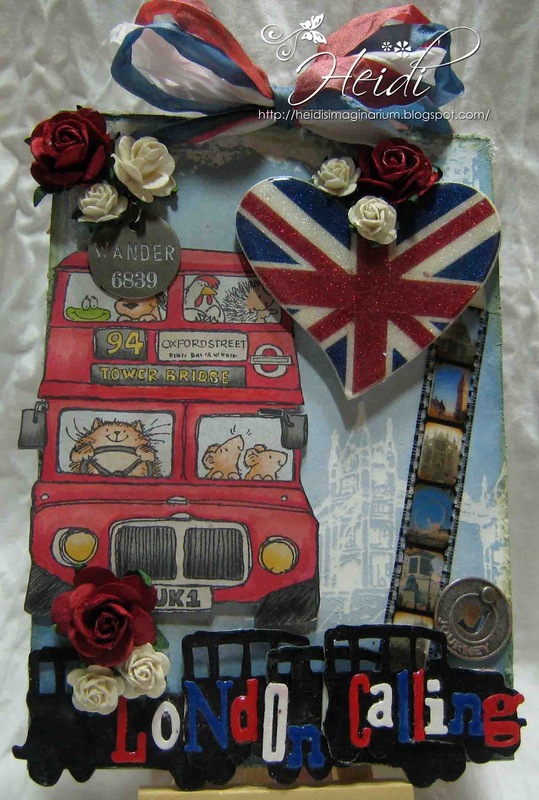 I die cut the heart using a sizzix tipsy heart die. I then used her Glitter UTEE technique she demonstrated in this post on her blog. I love how the heart turned out! I also love the Tim Holtz Film Strip Ribbon Tape I made to look like pictures a tourist would take around London. I got the idea from Tim Holtz 12 Tags of Christmas 2009 Day 9. I am entering this into the Inspiration Emporium "Put a Heart on It" Challenge. Thanks for visiting! I love reading your comments! Hi Heidi! My name is Heidi too :) This would be perfect in our Simon Says Stamp and Show Challenge this week :) Beautiful work. It looks like so much fun on that bus, I'd like to be on it as well. 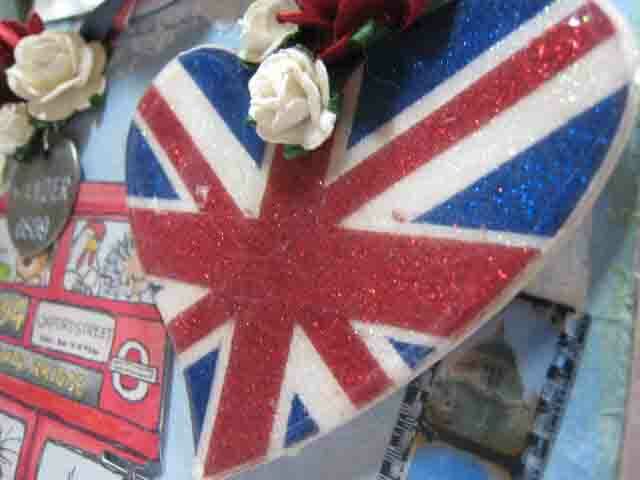 I can't believe you made that Union Jack heart with glitter and tape!!! OMG! That is the coolest thing I think I've ever seen. So glad you're enjoying the techniques - your work is fantastic!